Swarovski, the luxury brand of precision-cut lead crystal glass, runs an indoor theme park called Swarovski Kristallwelten (Crystal Worlds) at the site of its original factory in Wattens, Austria. 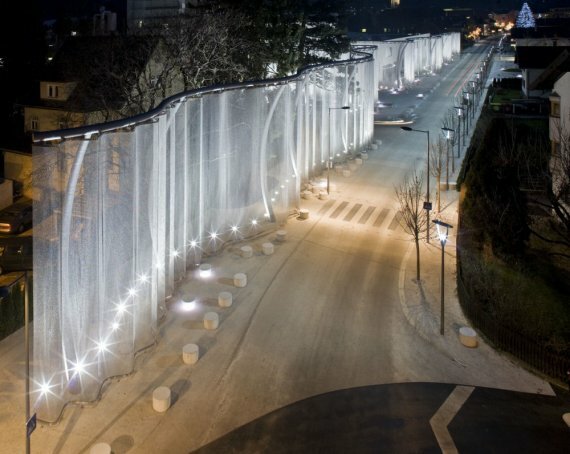 They recently completed this dramatic veil that lines the street outside the building. 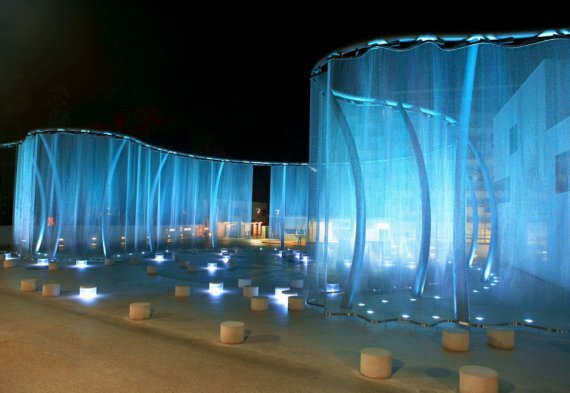 The stainless steel mesh veil was the winning design in a competition that Swarovski held. It was won by the design studio Regina Dahmen-Ingenhoven. Visit the Kristallwelten website ? here.